Seamus McNally is a seasoned filmmaker, and a leading coach for feature films and television in New York. He is on a daily basis called upon to serve actors and often directors at the top of their field, in delivering some of their most convincing, nuanced work, often with very little time to prepare. Recent series work includes: Orange is the New Black, Roots, Vinyl (M. Scorsese), Blue Bloods, The Night Of, Too Old To Die Young (N. W. Refn), Black Mirror. This exceptional, liberating, highly practical on-camera scene study course provides an effective foundation, grounding the actor in a unique, detailed prep, ultimately designed to liberate them to simply be present and respond in the moment, both to their fellow actors, and to the demands of a working set. Throughout each scene cycle, actors are first guided through carefully chosen material, applying a complex but accessible system of analysis. The following week, scenes are put on camera under Seamus’ direction, and then played back, where actors receive gentle, incisive feedback on their work. At the end of each cycle all of the footage is wiped. Over the course of each session, we also address a range of technical considerations specific to working on set. 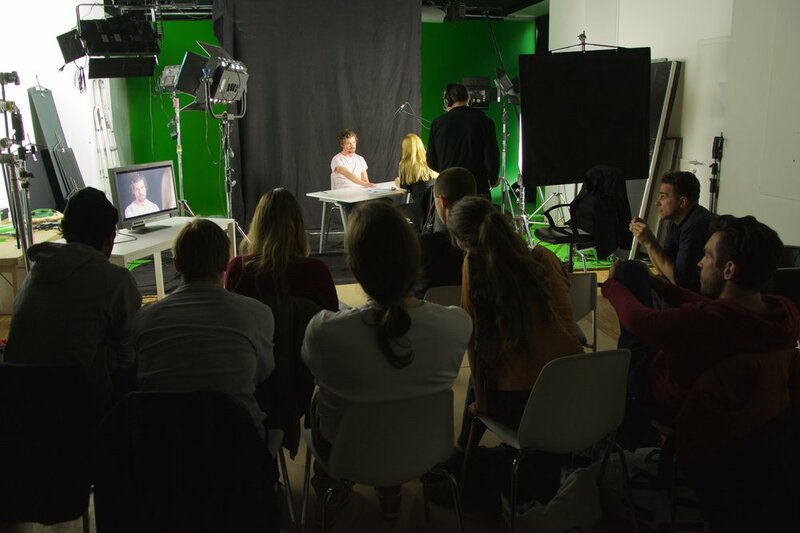 Actors are given accompanying material to help sharpen their understanding of everything from the basics of camera coverage, to the 180-line, to audio considerations. Ultimately, actors participating in this workshop leave with a solidified and elevated connection to their craft, and a refreshed confidence in their ability to deliver exceptional work on set every time.